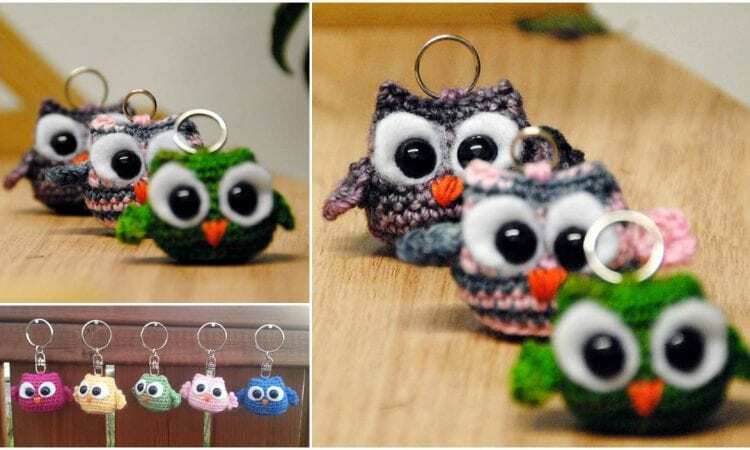 These cute owls are a very fun project – quick, easy and very, very adorable. I love such projects when there is a bunch of people to send gifts to. They are perfect as a keychain, but you can make them as a Christmas tree ornaments as well. A link to the free pattern is at the end of the post. More info about this project you can find here.